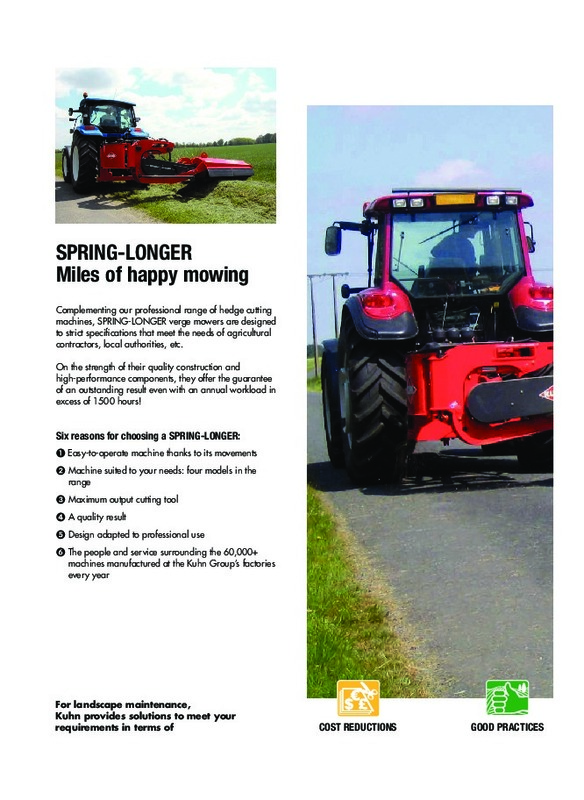 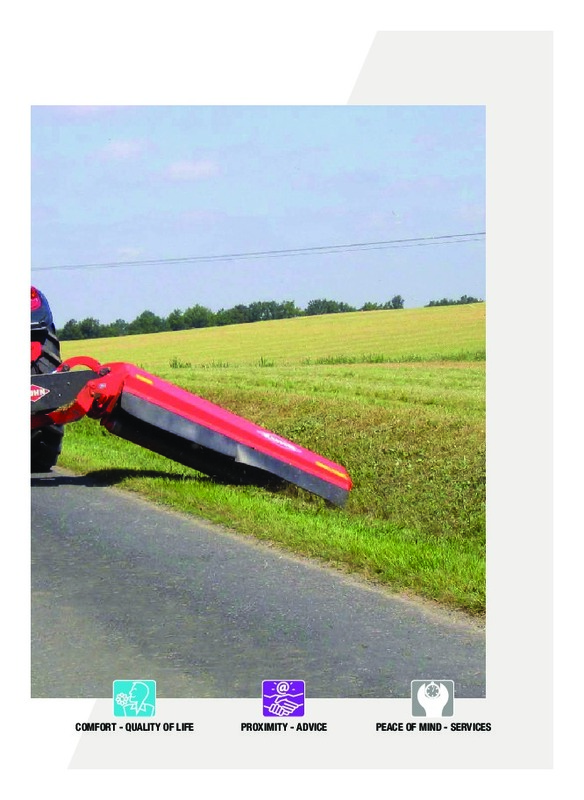 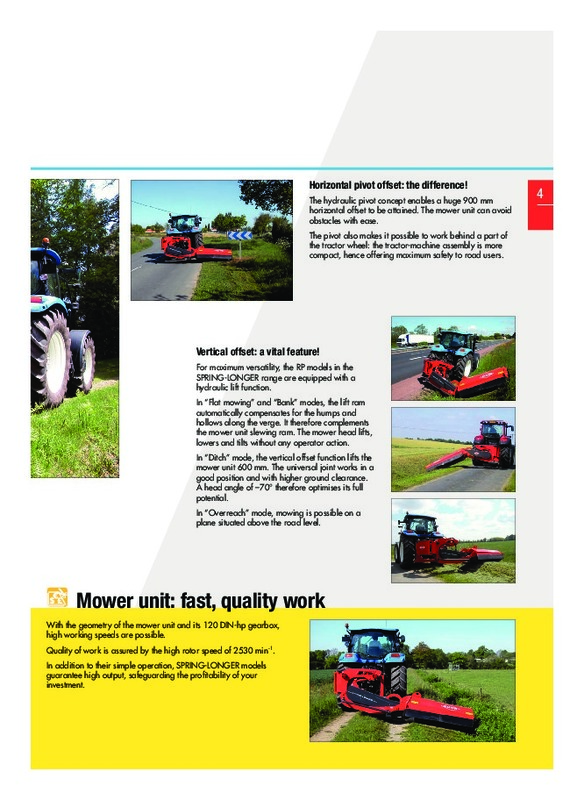 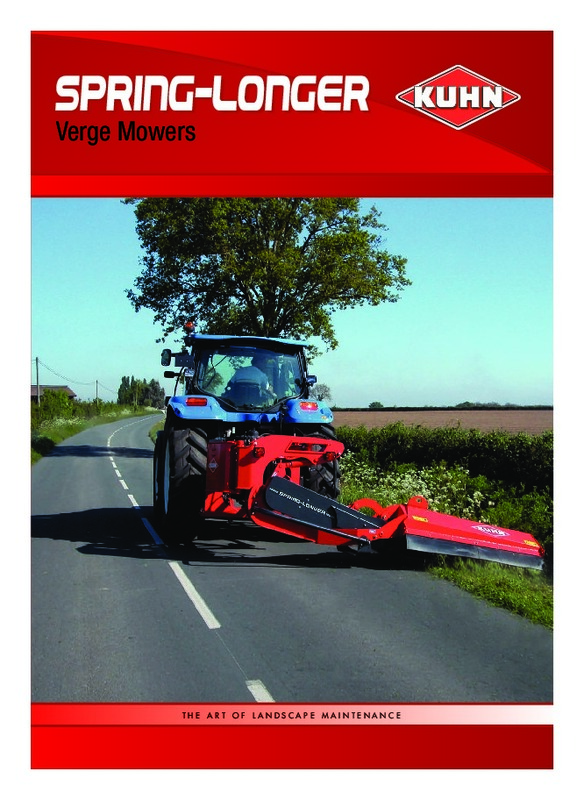 SPRING-LONGER Verge Mowers THE ART OF LANDSCAPE MAINTENANCE SPRING-LONGER Miles of happy mowing Complementing our professional range of hedge cutting machines, SPRING-LONGER verge mowers are designed to strict specifications that meet the needs of agricultural contractors, local authorities, etc. 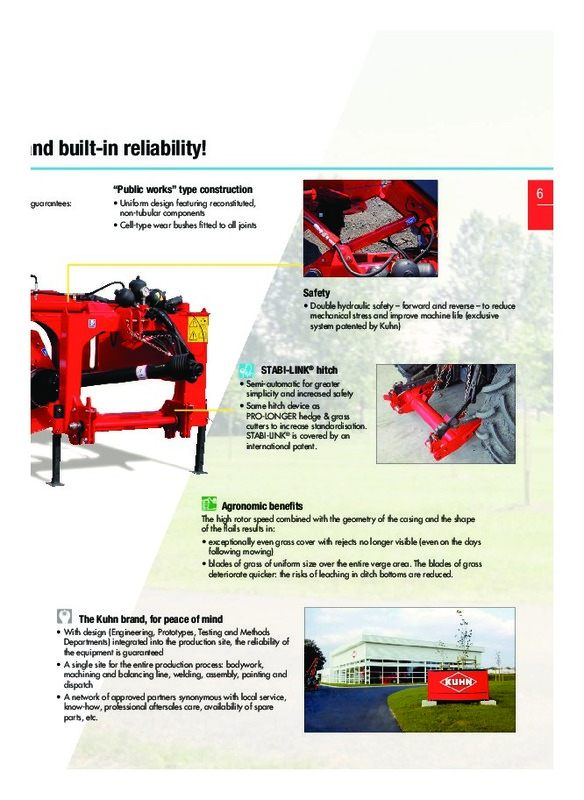 On the strength of their quality construction and high-performance components, they offer the guarantee of an outstanding result even with an annual workload in excess of 1500 hours! 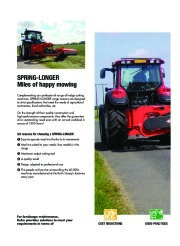 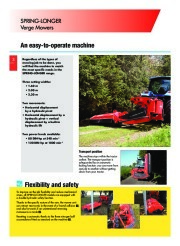 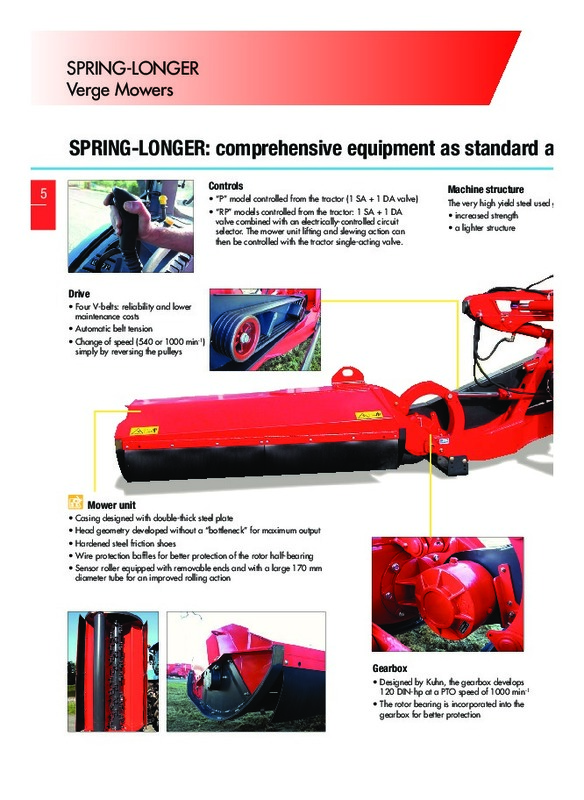 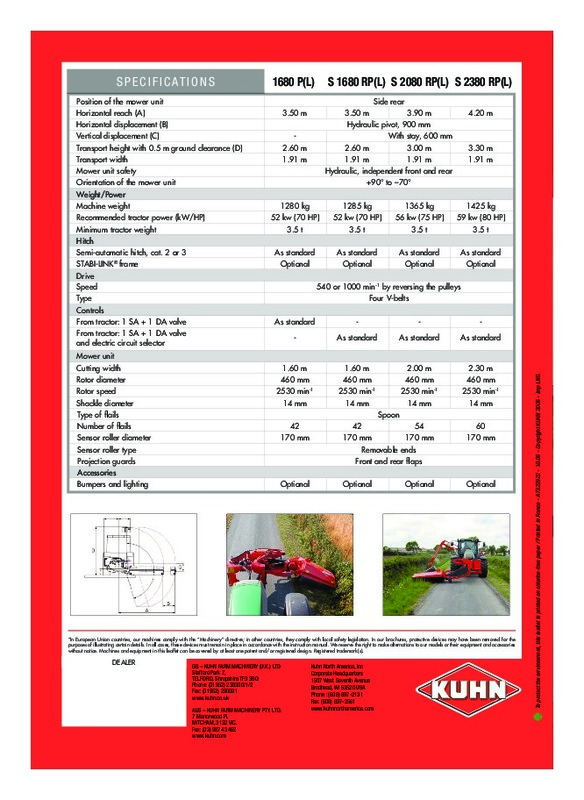 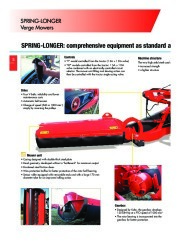 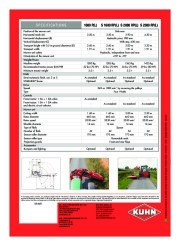 Six reasons for choosing a SPRING-LONGER: A Easy-to-operate machine thanks to its movements S Machine suited to your needs: four models in the range D Maximum output cutting tool F A quality result G Design adapted to professional use H The people and service surrounding the 60,000+ machines manufactured at the Kuhn Group’s factories every year For landscape maintenance, Kuhn provides solutions to meet your requirements in terms of COST REDUCTIONS GOOD PRACTICES COMFORT – QUALITY OF LIFE PROXIMITY – ADVICE PEACE OF MIND – SERVICES SPRING-LONGER Verge Mowers An easy-to-operate machine 3 Regardless of the types of mowing job to be done, you will find the machine to match the most specific needs in the SPRING-LONGER range.